The Sphynx Cat, also scientifically known as Felis catus is a hairless cat that was developed through the methods of selective breeding between hairless cats and Rex cats in the 1960s. Their country of origin is Canada and are therefore also known as Canadian hairless cat. These cats are warm, loving and are very demanding when it comes to human attention. They also love to entertain and would always keep you company. 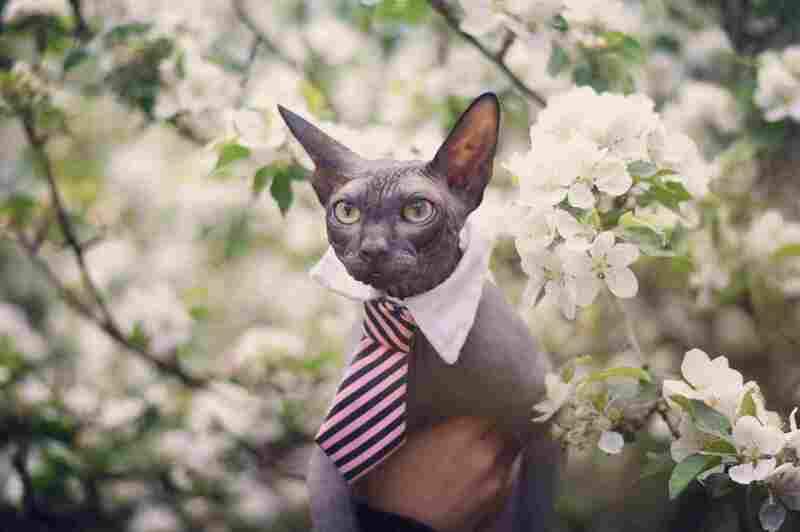 Although the Sphynx cats look serious, they actually are quite a bit of clown-like and are just the perfect pets for you. Also, the lack of hair makes it easy for you to groom them. Now, Pets Nurturing will help you learn all that you need to about these alien looking cats. 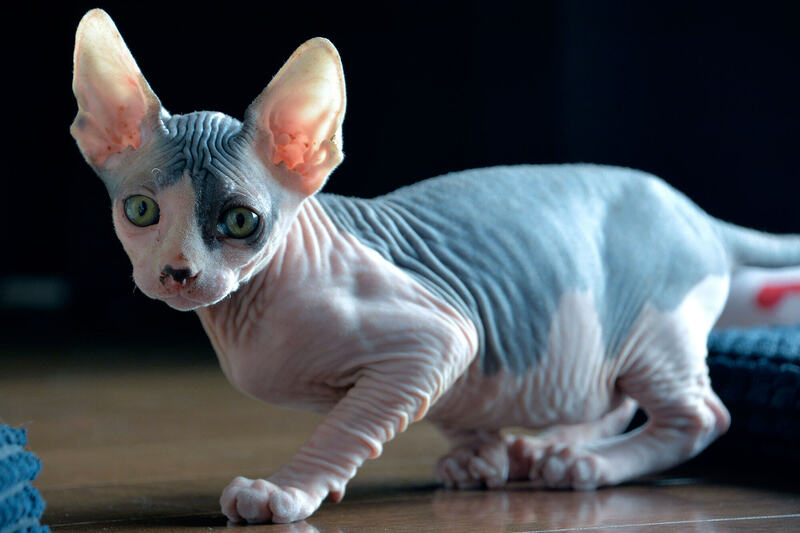 Just to be certain on this point, the Sphynx cats are not entirely hairless. They have a coat of very fine hair that is often said to resemble a peach skin and are really very soft to touch. They generally have no whiskers or eyelashes, and in case they do have them, they might be broken. 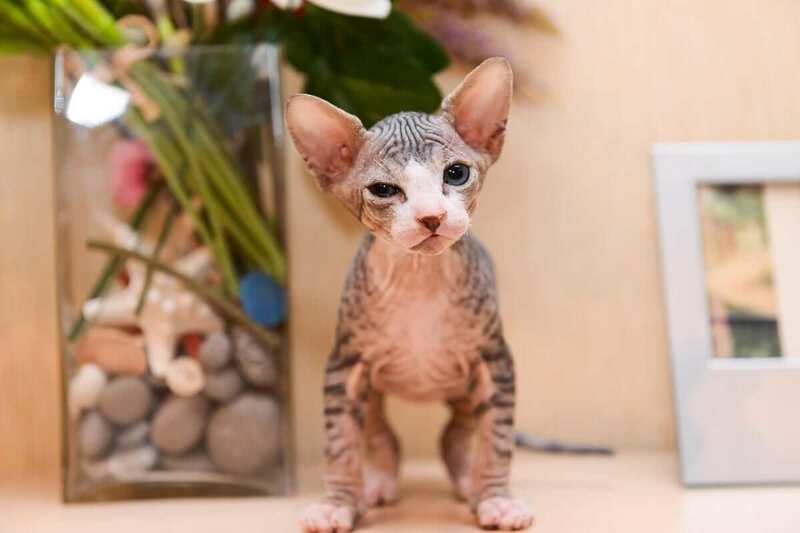 The body of these cats are wrinkled, their head is shaped like that of a triangle, they have deep set eyes resembling a lemon and long pointy ears that are about 2-3 inches high. They weigh somewhere around 6-12 lbs while the females are comparatively smaller in size than the males. A Sphynx cat can sometimes be quite a handful, to be honest. They are curious, loving, friendly, energetic, mischievous, have a sense of humour, and would absolutely do anything to grab attention. So rest assured, you won’t be bored with this pet always following you around the house or looking for opportunities to curl up in your lap. They have a tendency to go around looking for warmth as their normal body temperature is one or two degrees above what is average for normal cats. These cats can be your perfect cuddle buddies as they like to sleep with their owners. 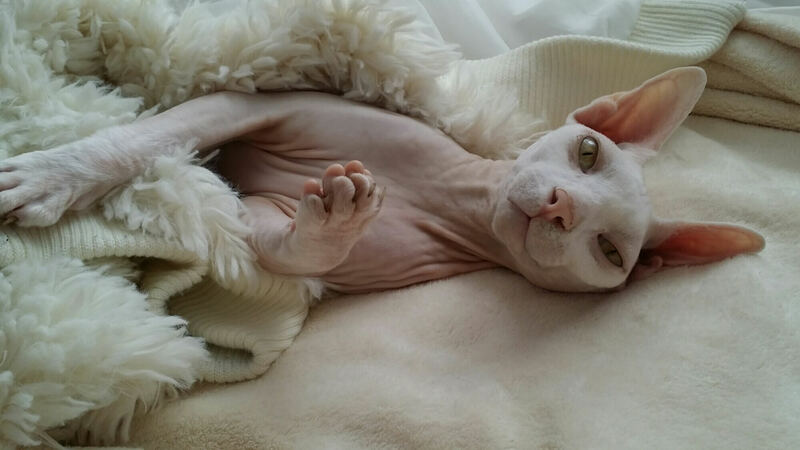 The breed of Sphynx cats suffers from skin problems like rashes and fungal infections. Skin diseases such as urticaria pigmentosa, heart diseases such as hypertrophic cardiomyopathy, and hereditary myopathy are some of the common diseases found in these cats. Vaccinations and an annual visit to the vet are advised for the well-being of the cat. Also, if they go out in the sun, you must make sure that they don’t get sunburnt. 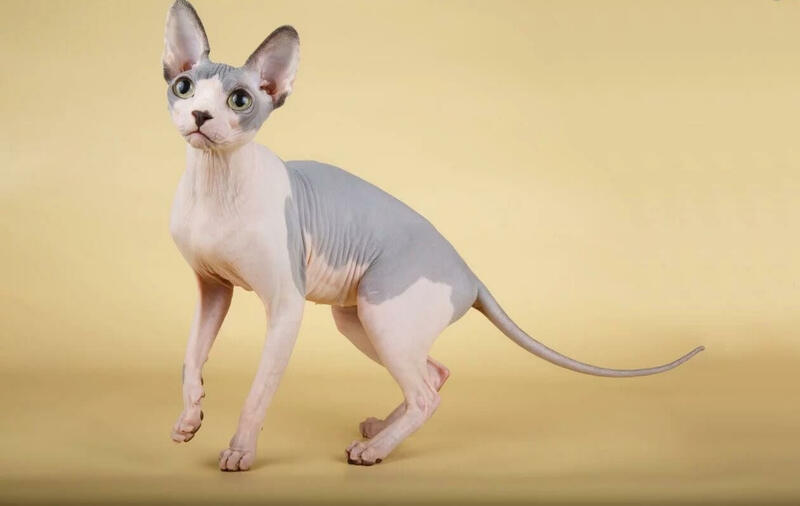 Another important point that needs to be clear is that it is totally untrue that the sphynx cats are hypoallergenic because of their lack of fur. In fact, allergies are not caused by a particular type of fur coat but by the dead skin cells that all cats shed. 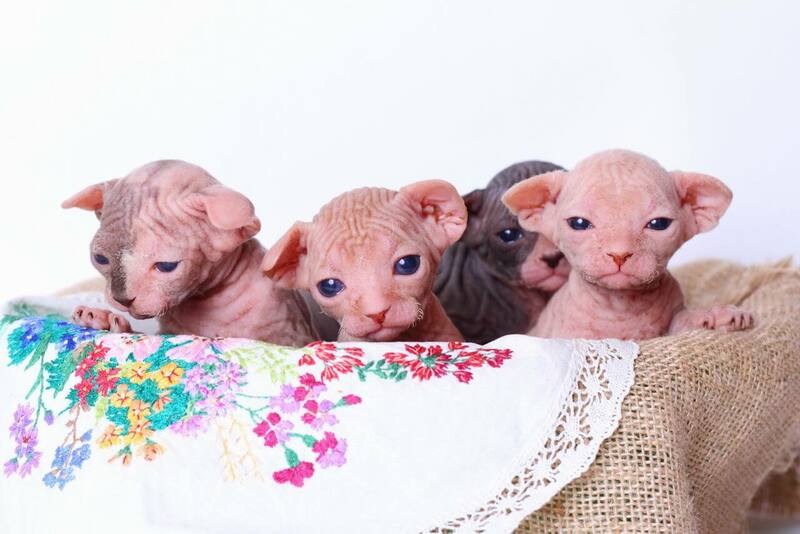 When you are adopting a Sphynx cat, you must avoid breeders who won’t give you a health guarantee for Sphynx kittens. Every cat has a unique need for food depending on her likes, dislikes, age, breed, and needs. Since the breed of Sphynx cats has a digestive system that is quite sensitive, they require a more balanced diet. Most importantly, this diet should be high in its protein content. Extra fibre in the food of these cats results in diarrhoea. Wet food or a mixture of dry and wet food can be fed to these cats, keeping in mind their nutritional needs. The Sphynx Kitten in her tender age must be fed carefully by maintaining a proper diet chart to ensure her healthy growth. 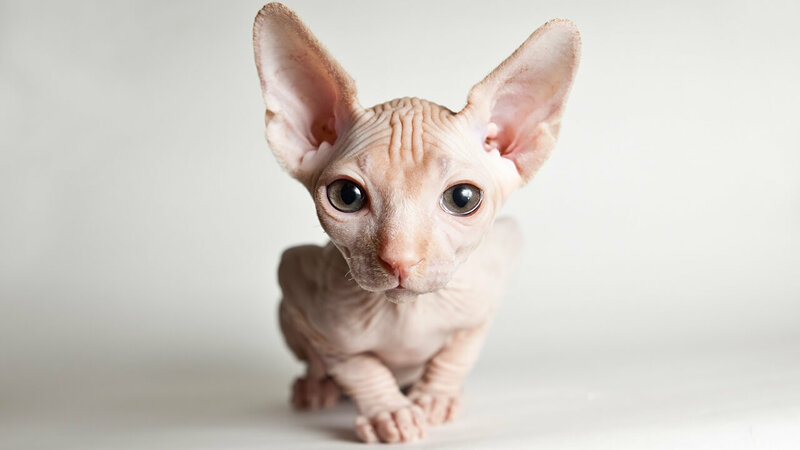 While the Sphynx cats have no hair, their skin is super sensitive and so you need to bathe them on a weekly basis to keep their skin supple and remove all the oily secretions. Clean their ears as well gently with a cotton ball dipped in the necessary ear cleaning solution to avoid infections. 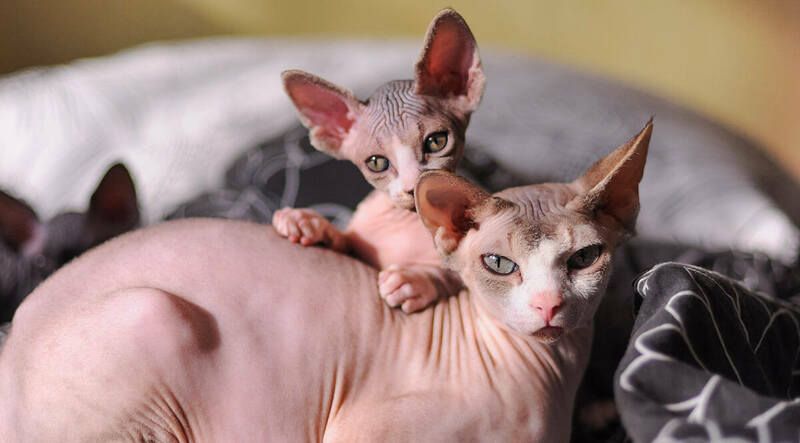 So, that was all about Sphynx cats and they are an amazing sort of creature who would be happy to live in a home where she is loved and cared for. They’ll be around you if you feel lonely and would always manage to do something joker like with their acrobatic skills to put a smile on your face.